Ashley and I are pleased to announce that we are expecting a new DIY’er to be added to our family this summer! We are super excited about the 6th member of our family and cannot wait to share all new memories with everyone. Of course, with a new baby and a new house, that can only mean more projects! Yep, we will soon be starting on a new nursery in what is currently our storage room. 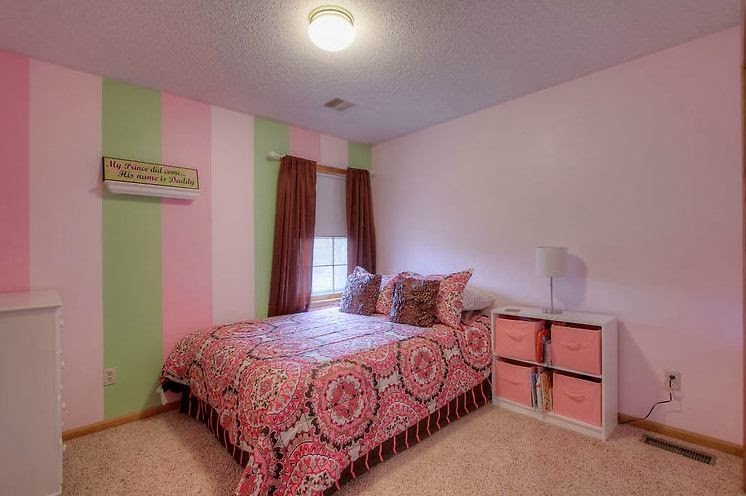 It’s really not a storage room but a cute girls room that we have just put everything into since we moved in. So in the mean time, we are going through box after box and donating what we know we cannot use again. Here is how the room looked when we toured before we purchased. Can’t wait to try and cover those stripes!